Here’s the link to the PocketBook 360 Plus review, a 5″ WiFi-equipped ebook reader with a very unique design. As usual the review includes some photos, several screenshots, and an HD video review. 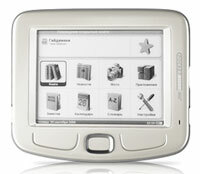 Thanks to Tatiana from E-readers Plus for lending a PocketBook 360 Plus for this review.